Organization is one of my favorite things that I just don’t have enough time for. I don’t like a lot of clutter at school, so it is pretty easy to find out which systems are working and which ones aren’t based on how messy areas of my classroom become. First up are my bins for each day of the week. I have one parent volunteer who runs 80% of my copies for the week. She usually finishes copying when I am right in the middle of my math lesson and just leaves the stack of papers on my desk. As soon as I reach my next break time, I just take the papers and put each paper set into its rightful bin, depending on which day I need the papers to be used. If I have a set of papers that I don’t get to on a particular day, I just take them out and place them into the bin for the following day. The bins are similar in size to the ones they sell from Really Good Stuff. These are actually ice cube bins I buy from Target (they are found near the ice cube trays). The second thing I made last summer was drawers to organize my desk supplies. 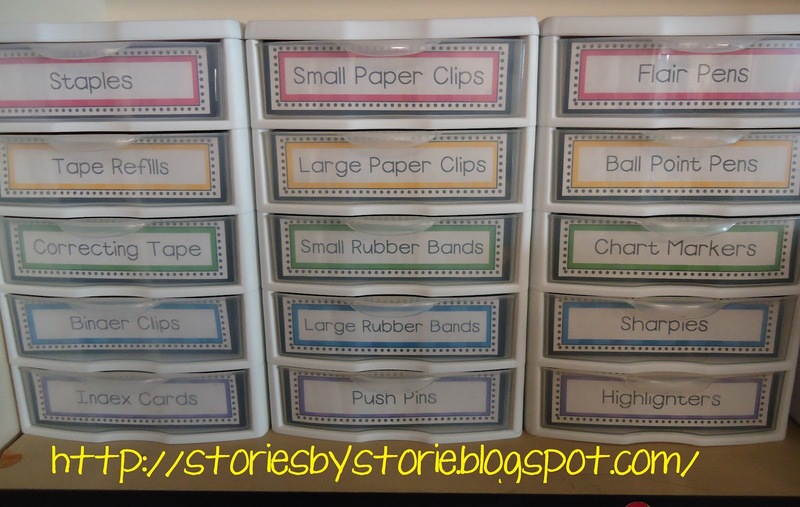 I contemplated making one of those cool teacher toolboxes, but I just didn’t think I’d be able to justify having so many small drawers when some of the supplies I use most often wouldn’t fit very well. So, I created this using the smaller Sterilite drawers. I have been really good about keeping things in place and it makes it very handy to find the supplies when my parent volunteers need extras. The third organizational tool I have put to good use this year is the larger sized Sterilite drawers (just large enough to hold standard-sized paper). 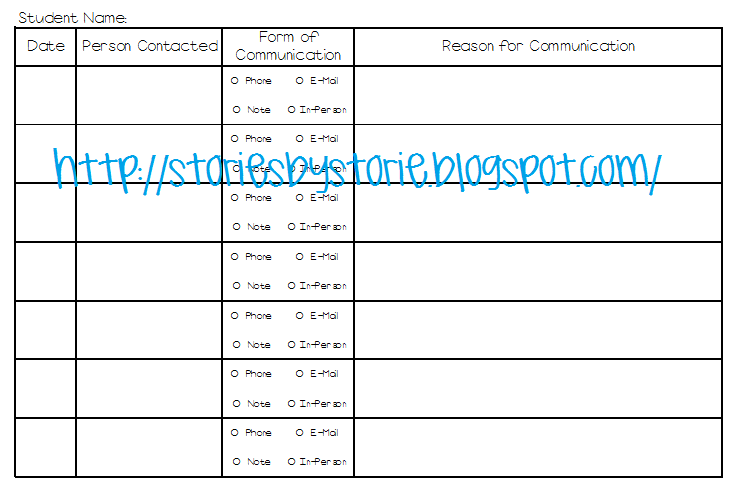 I have so many of these around the classroom that serve various purposes. I find these drawers look so much better when they have nice labels taped to the inside of the front. I like your version of the toolbox. I might have to do a combination of the two kinds! Do you have your drawer labels for download or purchase? I love this idea! And found the drawers for sale as a 4 pack on Amazon. I couldn't respond to you directly. I don't have the labels available for download right now, but I will look through my files and try to get them up soon.